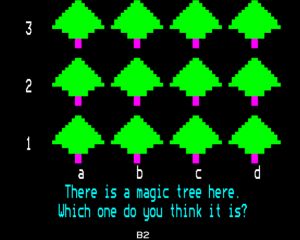 I can trace my relationship with computers back to my early school days, when I was sat in front of a shared computer on wheels, playing a game called Granny’s Garden on a BBC Micro. Using a computer was a real treat; we didn’t have a computer in my primary school, so we had to walk a mile down the road to ‘the big school’ to use one. My fascination with computers, media and marketing continued to grow, resulting in a BSc degree from the University of Bradford, in the UK. I actually discovered SEO the way most people in the industry do: by accident. I progressed from just building websites, into understanding & applying various tactics to generate relevant traffic in order to create sales & revenue. After years of focusing specifically on performance optimisation, I have a deep understanding (and respect) of what is required in order to get results from a website. In recent years I have been fortunate enough to work on many exciting campaigns/projects, from global brands, to small start-ups. I treat all projects the same, applying logic & specialist knowledge. If you want to have a chat, please do get in touch.